The "Monitor Wall Mount" allows for a Touch Screen / Terminal, POS, Television (TV) or standard LCD Monitor to be wall mounted saving valuable counter space. This type of mounting is often used in restaurants for mounting order entry touch screens. 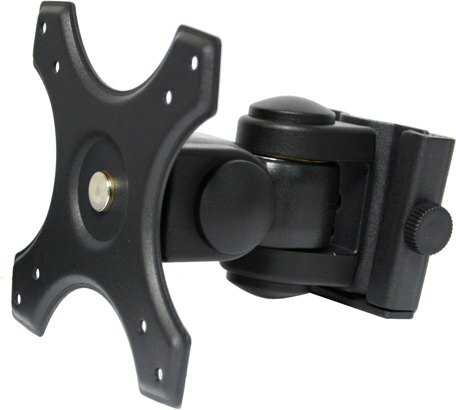 The Monitor Wall Mount unit allows both tilt (up / down movement) with swivel (left / right movement). Holds up to 12kg.